I'll start off by explaining what it is we were trying to gather at, the Confluence. 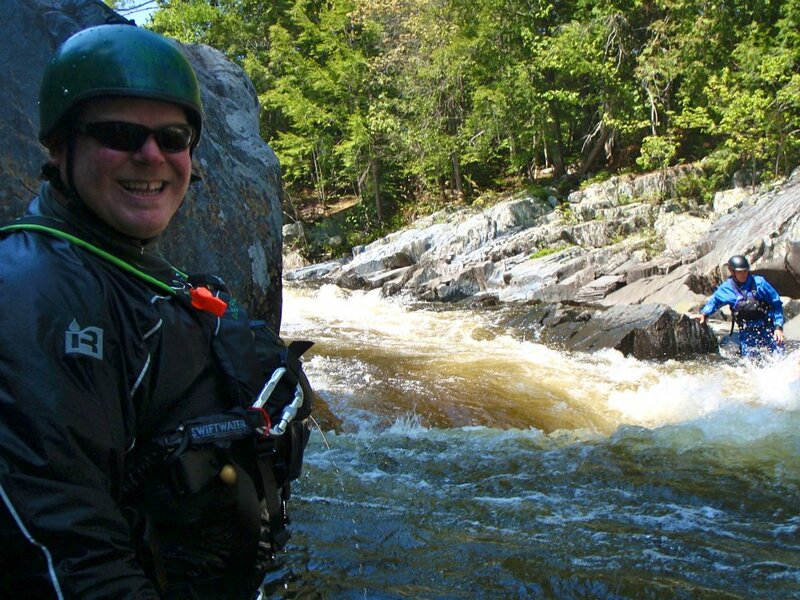 Northeast Whitewater joined the America Outdoors Association (AOA) in 2013. Annually, the AOA gathers at one juncture for a marketing & management conference. This year's Confluence was in Albuquerque, New Mexico at the downtown Convention Center the second week in December and Northeast Whitewater was signed up to attend. Needless to say, we were excited! It was our chance to meet with some of our vendors and suppliers face to face. As most of you understand, in this digital word we live in, face to face interaction tends to feel like a thing of the past. 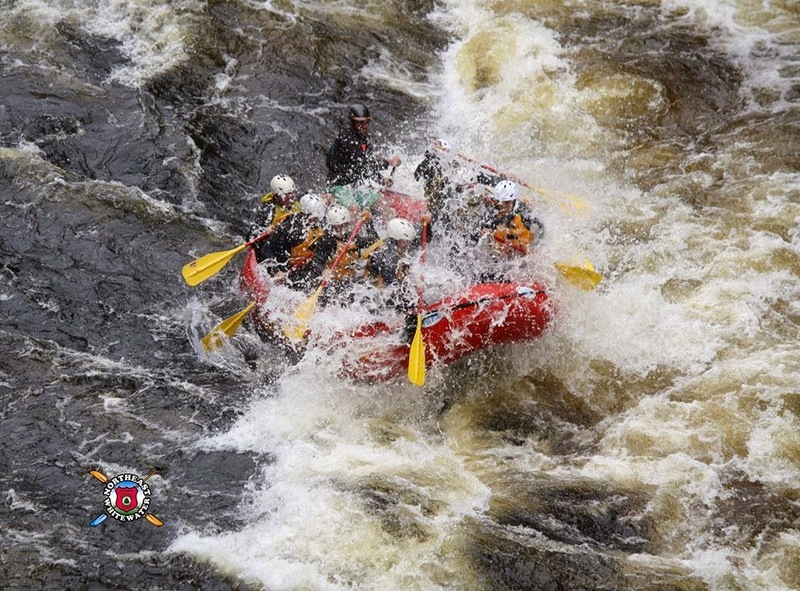 We talk via email, lucky if over the phone, but to actually meet the people that we purchase retail, rafts, whitewater equipment, and our online reservation system from was an exciting adventure for our small Maine rafting company. Especially, after spending the last 364 days in the North Maine Woods, we were yearning to escape our town of Greenville, change our surroundings, network with like minded businesses and learn; as a bonus, we had never been to Albuquerque! You can't get there from here. Well, you can, but it's either a long drive or it's up to you to rely on the airlines. We all know how interesting flying is these days. Now just add to that an east coast snow storm set to hit the day we were scheduled to fly out. Thankfully, without a hitch, we took off from Portland, Maine thrilled to have started our journey to the Confluence. Arrived at Chicago O'Hare, ready for the second leg of our travels. Boarded the plane and waited for fuel. Fuel, a necessity to fly from Chicago to Albuquerque - please fill us up! And we waited. An hour passed and I knew this wasn't a good sign and then the Captain uttered over the intercom, we would be getting off the plane because our plane had a fuel leak and they would either have it fixed or hopefully be getting another plane. I knew this wasn't good, but on the upside was thankful we weren't flying across the country in a plane with a fuel leak! 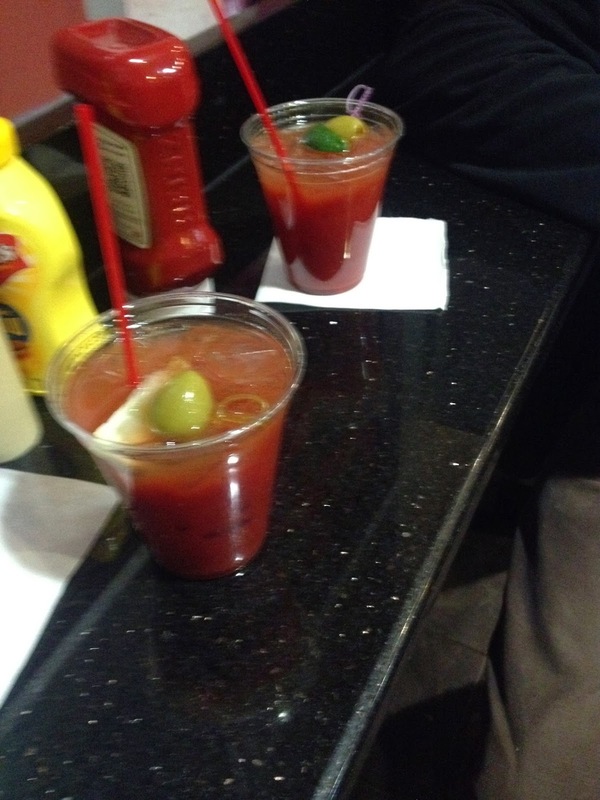 Off the plane and Bloody Mary's were ordered. When you've been up since 3:30 in the morning and it's now noontime, you're waiting in an airport, you'll understand the need for a Bloody Mary. As we walk back to our gate, a little more relaxed, the airline attendant stated that our flight has been cancelled. Postponed is one thing, but cancelled, that's a whole other can of worms. Our entire flight is sent to customer service. You know those lines at Disney World, when you look at your child and think, why did I come here, spend this kind of money to be standing in a line a mile long? Good, you understand the enormity and length of this line that we are now standing in. Traveler's excitement turned to frustration quickly. 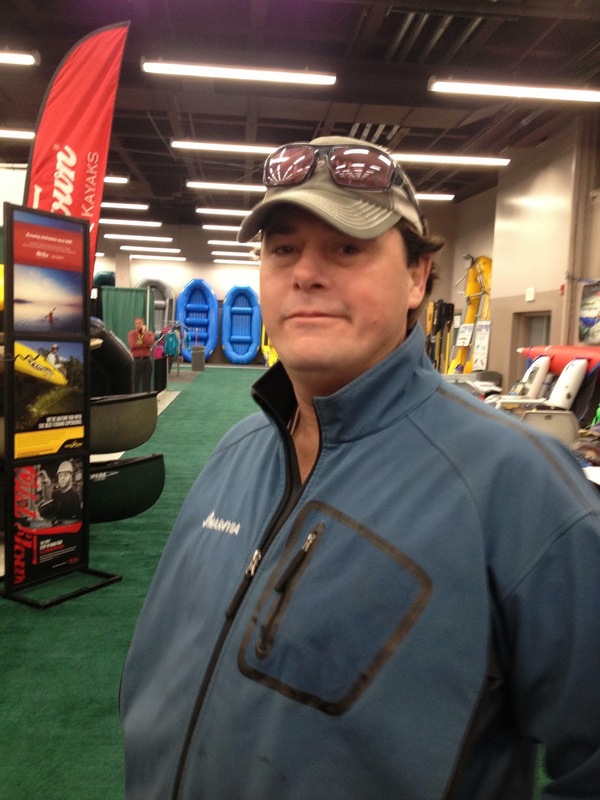 Jeremy, Northeast Whitewater Owner, who footed the bill for the airline tickets and trip to the Confluence in Albuquerque, had grave concerns that we may not make it there and upon arrival would we miss the bulk of marketing seminars and meetings scheduled? At that point, the line wasn't even moving at a crawl, so I called the United Airlines customer service number to see what our options would be moving forward. I finally reached a representative that stated our flight had been rescheduled for the next day at 4 in the afternoon. I explained that wasn't going to work, we would miss an entire day at our conference! We were already going to miss this evenings opening social. The representative said that I would have to continue waiting in line then, to see if I could find a better flight option. So, there we were. Waiting. Rob - made it to the show! You know it's impossible to not strike up a conversation with your "line neighbors" during the 4 hours you are spending together in a slow moving line, with the common goal of reaching the counter and getting the heck out of here! We met a young man that I thought I was going to have to help hold up, he was so tired from his travel delays and flight cancellations. A single mother with three kids, that I was thankful to not be in her shoes. And, of course there was the funny man in the group that made light of the situation and couldn't help but bring your spirits up...that was Rob. Rob was actually heading to Albuquerque for the Confluence, as well (his travel story is a trip; two or three or four times at LAX)! 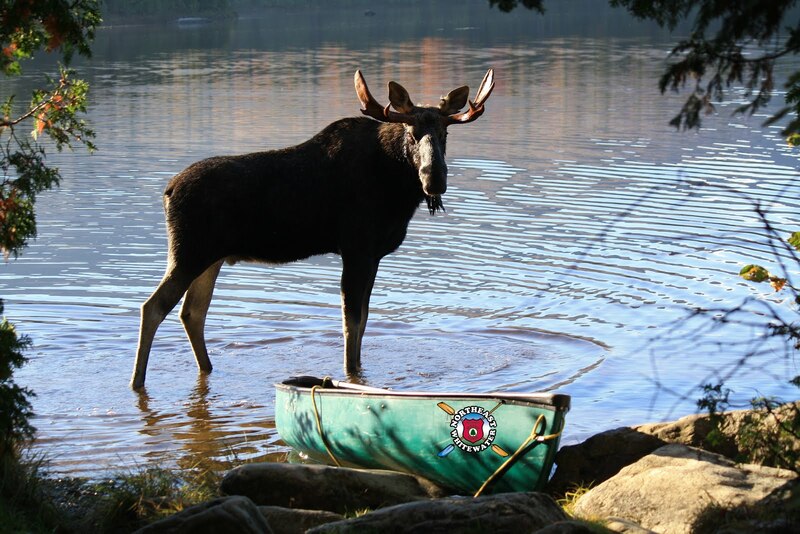 He is a raft rep in West Virginia and buddy, I feel lucky to now know him. Had this become our Confluence? No, we must make it to Albuquerque! After 4 long hours of standing in line, we made it to the long awaited United Airlines customer service counter. Ta daa!!! Now what? A shift change resulted in a new attendant for us. A lady in her early 50's sat on the other side of the counter and smiled back at us. We explained our situation and she was willing, even happy to help. A large map of the United States was directly behind her on the wall and Jeremy began suggesting any airport to fly to because his thought was get us out of Chicago and at least closer to our final destination. You have to understand that even though our flight was not cancelled due to the east coast snow storm, thousands of flights were and the two airports that were the hold over airports for passengers were Chicago O'Hare and Atlanta. Yup, we want out of here and out of here to anywhere! After numerous attempts and airport suggestions, one of us could go, but not the other. One may need to placed on standby and run the risk of not getting on that flight, either. A 4th attempt to check flights from Chicago to Denver and 2 seats appeared. What, how did that happen? The attendant put those 2 seats on hold for us and then began the search for a flight from Denver to Albuquerque. There was a flight leaving that night, but we would be cutting it close. We figured get us to Denver and if we miss the flight to Albuquerque, we could always drive the 6 hours. Had delusion set in? The plane that would be taking us to Denver was running late, therefore our flight out of Chicago was delayed by about 40 minutes. That would leave us 2 minutes to connect in Albuquerque. There was no way our luggage would make it and we were pretty much assured there would be no way we would make the connection, especially seeing as how the 2 seats we were booked in, were in the back row of the airplane. We could have been sitting in the toilets on that flight, but it didn't matter, we were out of Chicago O'Hare! I kept checking my watch and even asked the flight attendant if we could get off the plane first, which wasn't an option. On the ground and up we stood. I started towards to front of the plane, getting ready to climb over seats if possible and then a voice...For all passengers on the following flights, the planes are waiting for you. Albuquerque here we come! We ran from terminal to terminal, arrived panting, sweaty, but elated! We made the flight. Separate seats, but we didn't care. We had made it. I could hear Jeremy reliving the day with his new flight friends a row back, jubilant, excited and thankful. I, on the other hand, breathed a sigh of relief and needed a nap. Our flight arrived in Albuquerque close to midnight and we figured there was no way our luggage could have possibly figured out it needed to be there, too. We walked to the baggage carousel and waited. Jeremy's new flight friends mentioned there was some luggage over in the corner and by god it was ours! How in the heck? Come to find out, our luggage had its own exciting adventure to get to Albuquerque, too. Instead of traveling to Denver with us, our luggage traveled to Atlanta, then to Albuquerque and actually arrived before we did. America Outdoors Confluence, Northeast Whitewater had arrived, a little battered and tired, but overwhelmed with excitement and ready for the show!